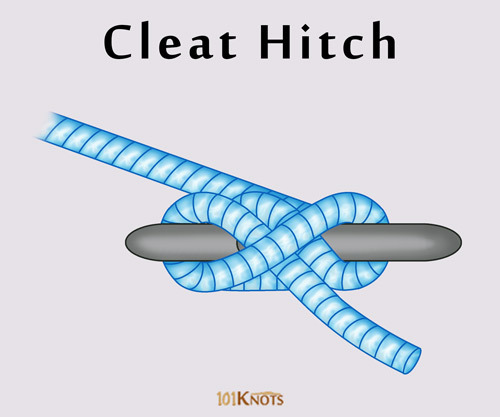 The fast and simple knot is used to cleat a mooring line. While securing a dock line to a cleat, first it must be wrapped around the horn that is farther away from it and then around the horn nearer to it. If the sequence is not followed the knot may jam. It also unties quickly and neatly. 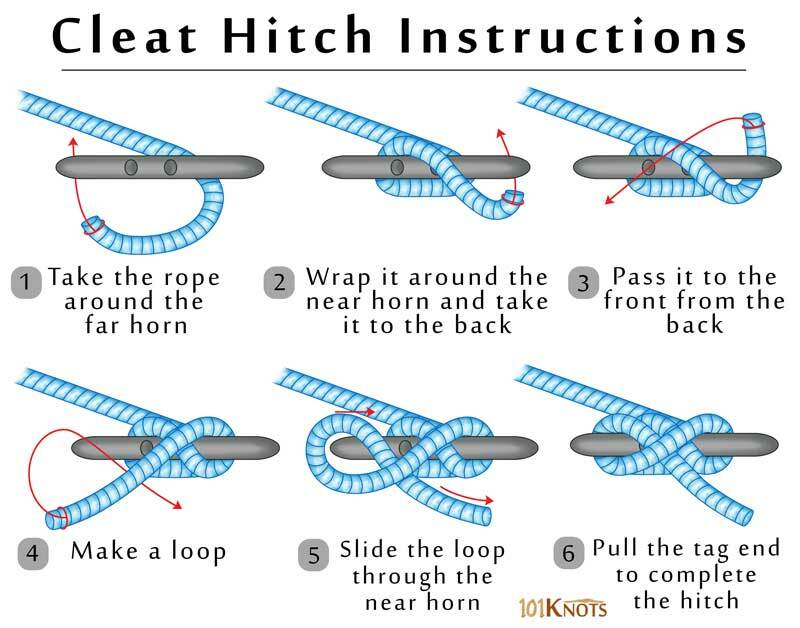 It is a significant knot that every boat owner should learn. It is a handy knot at the dock. The Ashley Book of Knots describes it with several variations including the application of a single hitch by itself. In the diagram, you may have noticed that there is no locking hitch. This is particularly important for mooring large vessels, towing and sheeting a sail. Other situations, however, demand the use of a locking hitch such as small boat sail halyards, flag halyards and dock lines of yachts left at the harbor for long periods. You can stand back and throw the line to coil on the cleat for a superb flying cleat hitch.